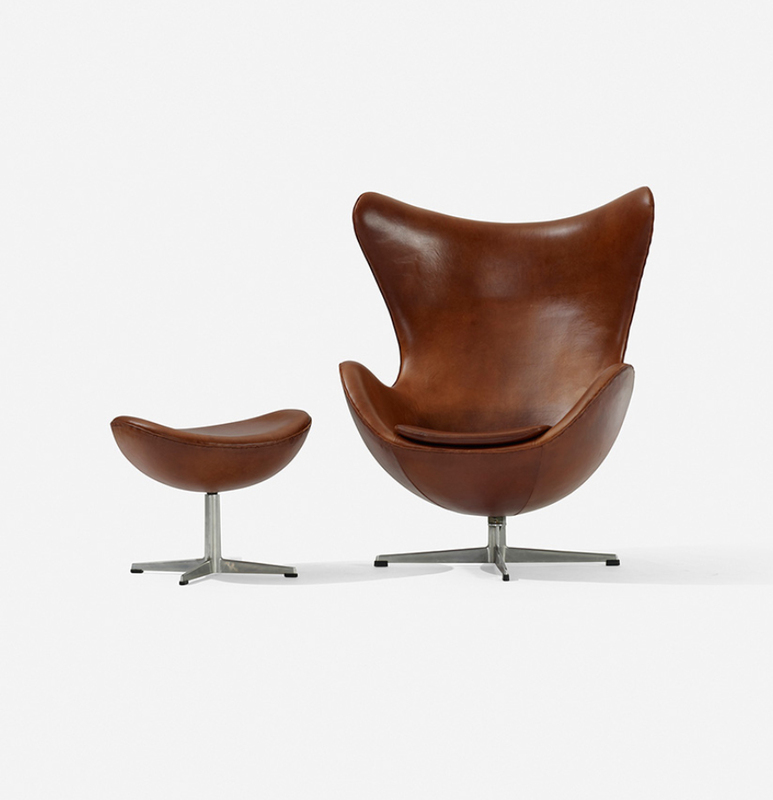 I guess we have a vested interest in promoting the iconic Egg Chair by Arne Jacobsen having fond memories of it growing up in Europe. A comfortable chaise lounge in which you can cuddle up in with a good book; this is really an exceptional masterpiece of Danish furniture design. 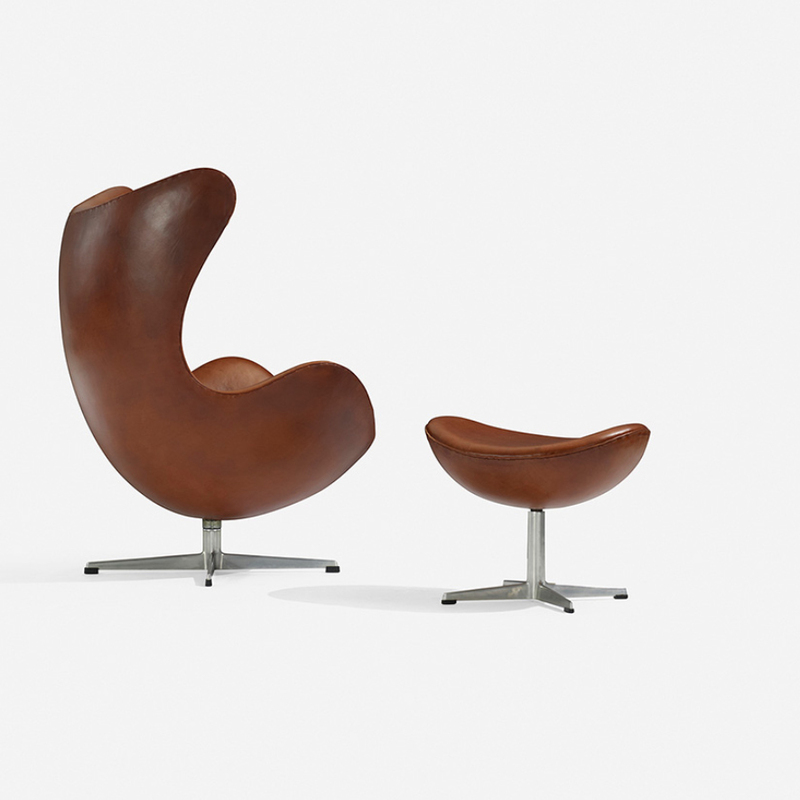 The authentic Egg is produced by Fritz Hansen and has the Fritz Hansen logo embedded in its steel base (stay clear from cheap knock offs from China which insult the legacy of Arne Jacobsen). Vintage pieces with a nice patina come up for sale every once in a while at auction sites and auction houses. But you can still buy an original new Fritz Hansen Egg Chair through fine home design retailers such as Stardust Modern Design. 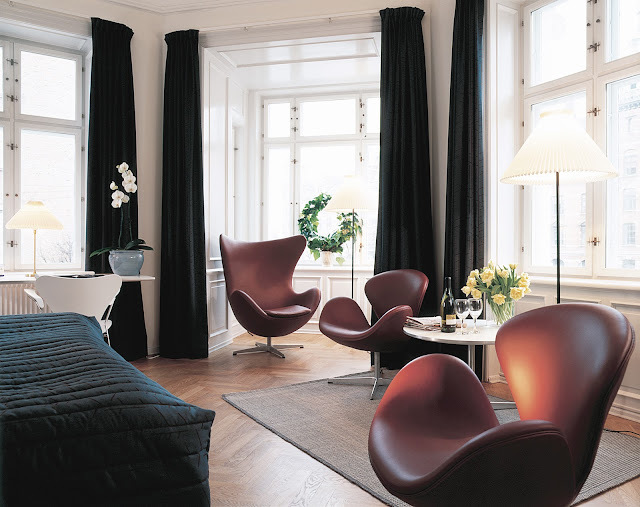 Arne Jacobsen (1902–1971) was the renaissance-man of Danish architecture and design. He mastered the whole gamut of the profession, and whether the object in question was a high-rise hotel, a chair or a door handle, he worked with an obvious enthusiasm and vigour. Arne Jacobsen was admitted to the Royal Academy of Fine Arts in 1924 and graduated in 1927. Soon after, in 1929, he won recognition for “The House of the Future” project, where he, in collaboration with Flemming Lassen, presented a daring vision, complete with helipad on the rooftop. Throughout his career Arne Jacobsen maintained a high level of productivity. He designed a great number of single-family houses, summerhouses, larger apartment buildings such as the Bellavista complex, from 1934, and several public buildings, such as Søllerød and Århus Town Halls, both completed in 1942 and the Munkegaard School, from 1957. In 1964, St. Catherine’s College at Oxford University was inaugurated, earning him international fame. But Jacobsen’s finest piece of work is perhaps the Royal Hotel in Copenhagen, completed in 1960. Here his talent was really brought out. In everything, from the elegant curtain-wall structure; over the furniture; the lamps; the textiles; the door handles; right down to the cutlery in the restaurant, Jacobsen's steady hand was evident. Here, some of his best furniture was first introduced. 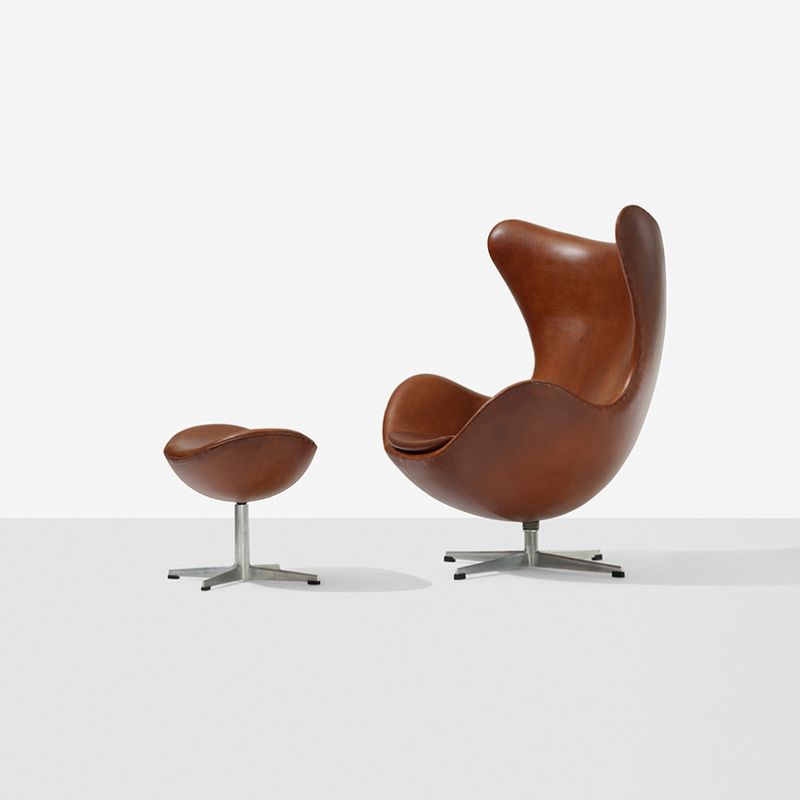 The full, sculptural shapes of “The Egg” and “The Swan”, now considered modern furniture icons, constituted an interesting contrast to the angular, stringent building. Another well-known Jacobsen creation is “the Ant Chair” designed in 1951 and introduced in 1952. This elegant, stackable, three-legged piece came about as a result of Jacobsen’s great interest in modern materials and new production techniques. 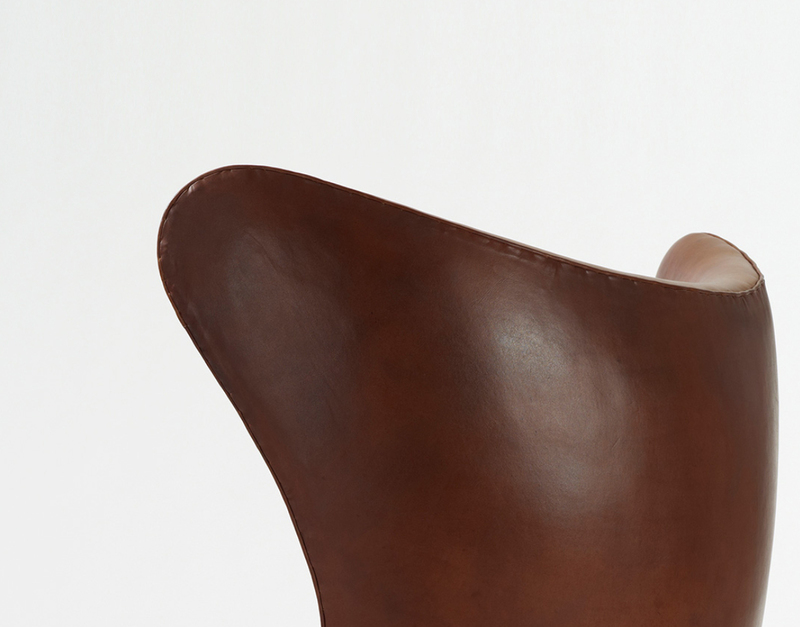 The narrow ‘waist’, which gave the chair its name, was necessary because of Jacobsen’s wish to keep the bent plywood seat and back in one piece. A four-legged sister, “the 7 Chair”, designed in 1955, went on to become a major success with more than 5 millions copies sold worldwide.